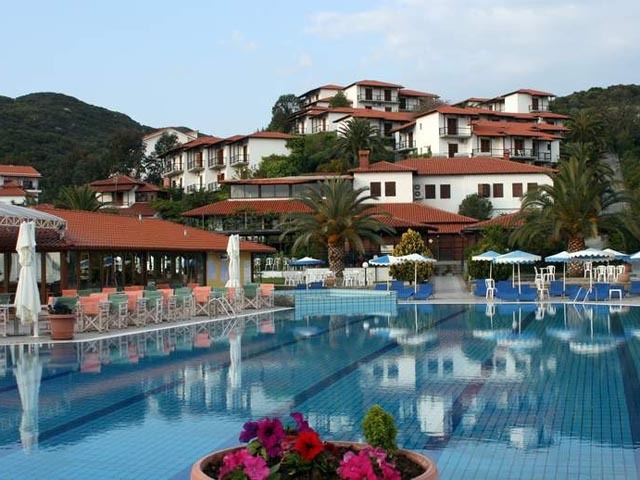 Alexandros Palace Luxury Hotel in Halkidiki, one of the finest hotels in the beautiful area of Tripiti, near Mount Athos, is built on a lush green slope that reaches a golden beach and sparkling blue waters. 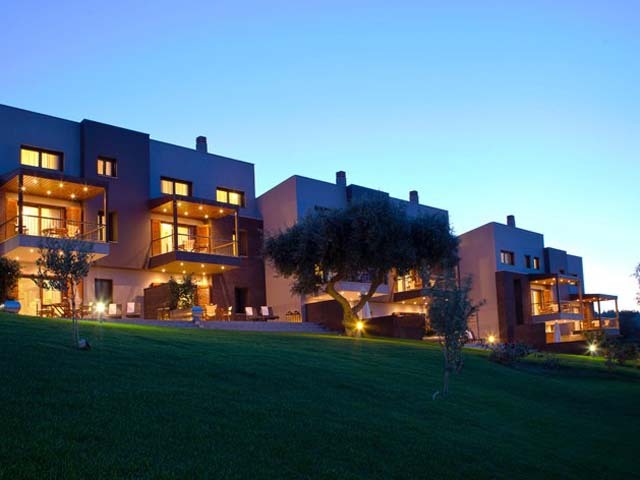 Located in one of the most blessed areas in Greece, embraced by the pure, Greek nature and its unspoilt, raw beauty, Alexandros Palace is ideal for families with children, couples, religious tourism, food and nature lovers. 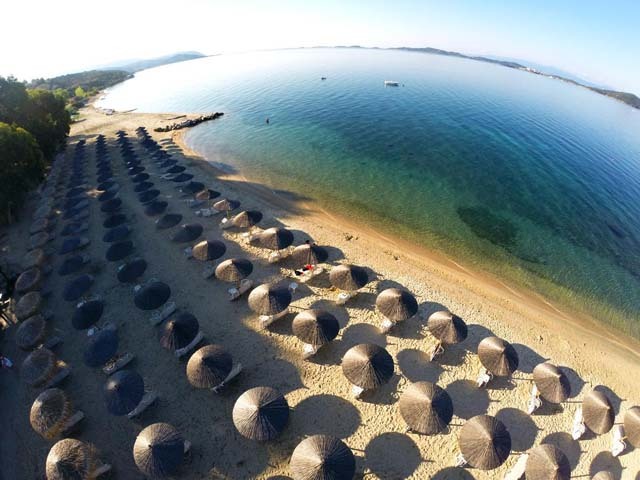 alexandrospalaceThe Alexandros Palace Luxury Hotel in Halkidiki is characterized by both traditional and modern architecture and style. 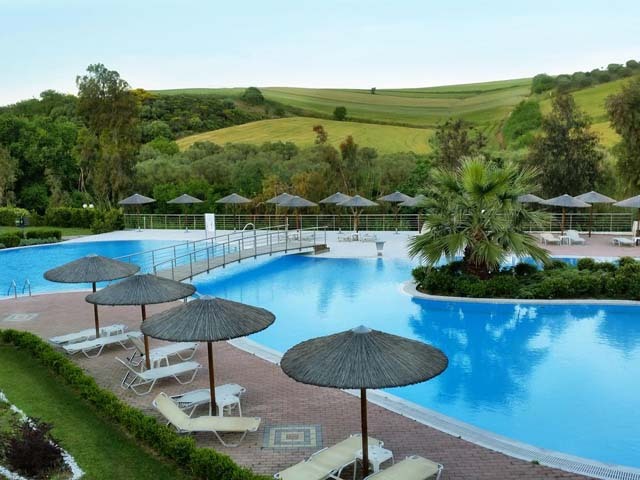 It is comprised of double hotel rooms and a variety of luxury Suites, all of which have been recently renovated to provide the highest quality hotel accommodation to their guests. Our hotel in Halkidiki includes a wide range of well- organized facilities and venues for relaxation and recreation, such as swimming pools, bars, restaurants, a private beach, a spa, a gym, sports facilities, special children’s facilities, and much more, giving Alexandros Palace luxury hotel in Halkidiki (Chalkidiki) the reputation of one of the best Halkidiki Hotels near Ouranoupolis (Mount Athos). Our efficient hotel services are available to all guests, including excursion planning, secretarial services, car and boat rental, Wi- fi internet access, daily recreational activities planning, animation etc. 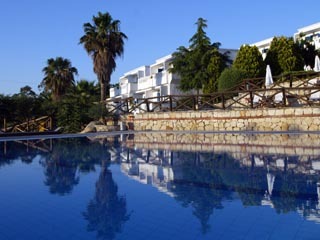 Since 2009, Alexandros Palace Hotel in Halkidiki operates a new wing built on a verdant, 25000sq.m. area, with an exquisite, outdoor, lagoon-style pool of 650sq.m., equipped with a special jacuzzi spot and water effects. 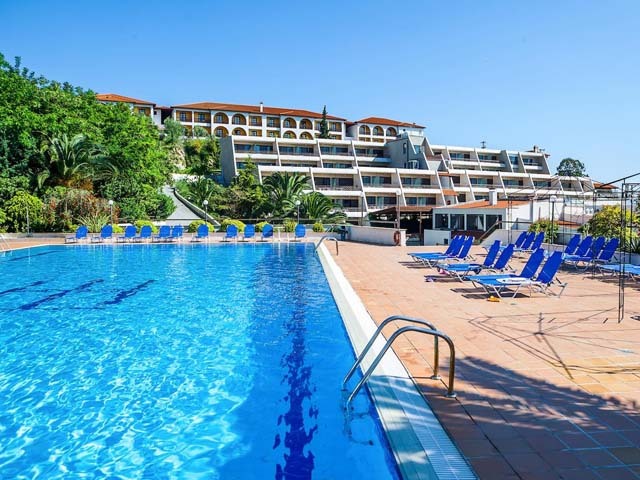 Right next to this oasis of freshness, lies the Alexandros Palace new pool bar, with a congenial atmosphere, refreshing cocktails and palatable snacks. 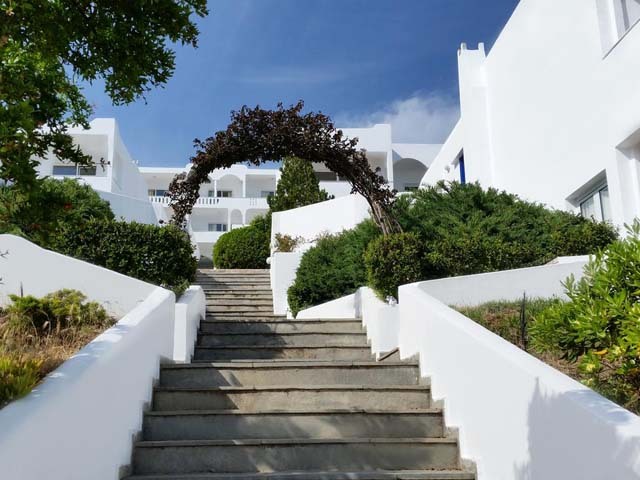 The two- storey building of the new wing, comprises of 97 luxurious hotel rooms with unique style, combining refined modern architecture with retro elements and all the comforts of a 5-star hotel in Halkidiki. Spreading along the pool, it is equipped with a separate reception desk, while at the back-side of the building, you can find a roofed parking area. 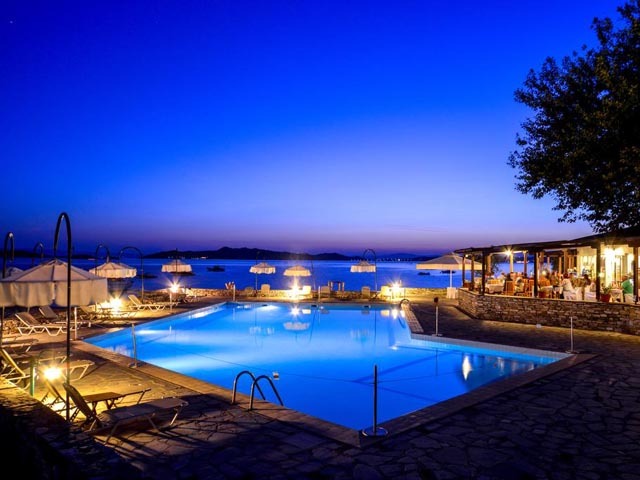 We will be glad to welcome you at the Alexandros Palace Halkidiki Luxury Hotel Suites and Rooms in Ouranoupolis (Mount Athos), belonging to the 5 star ***** category of Halkidiki hotels Greece, operating from May to October. 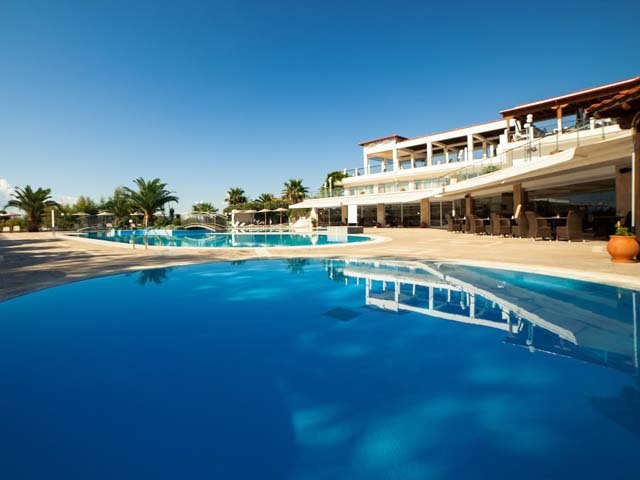 The hotel is situated 108 klm from the international airport of Thessaloniki, 5klm from Ouranoupoli 500m from the Trypiti port. One or two space room of 65m2. All the public areas have air - condition. Free wireless high speed internet connection in all public areas and guest rooms. Theatre Bar with view to the sea and situated amphitheatrically facing our outdoor stage.